District Campsite at Garner’s Field. 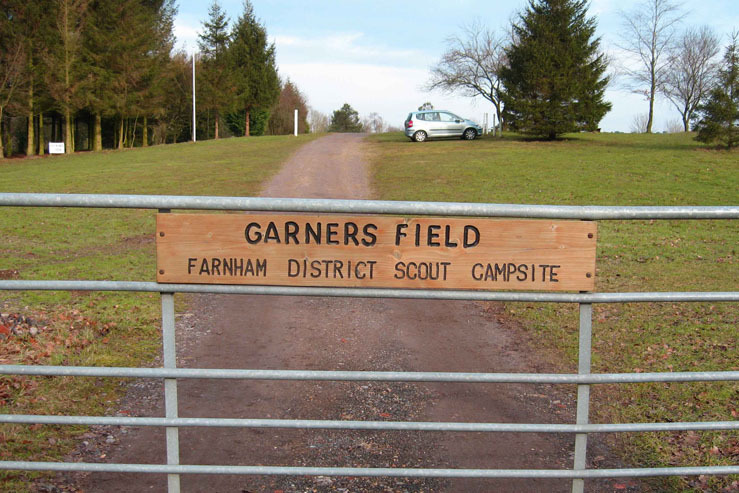 “Garner’s Field” is the name of Farnham District Scout Association’s campsite just outside Farnham in Surrey. Details of the campsite’s features, facilities and site use requirements can be found below or on separate pages on this site. The site and much of the surrounding area was formerly a quarry which had been filled in. 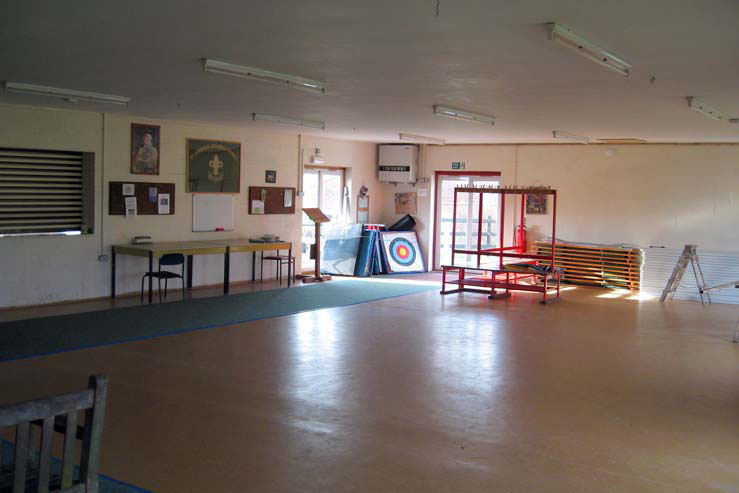 Under the leadership of former Farnham District Commissioner Eric Garner the site was purchased in the 1970‟s for Scouting Activities and the site named in his honour. Garner’s Field is located in a rural setting approximately three miles south of Farnham near the village of Tilford . The site is easily accessible by vehicles (but not coaches) via a tarmac surfaced track from nearby Sheephatch Lane, Tilford. The camp site is at OS Map Reference 865447. On OS Explorer Map 145, ‘Garner’s Field’ (name not marked) adjoins the Surrey County Girl Guide’s, ‘Herons Wey’ Camp Site (name marked). OS Pathfinder Sheet SU 84/94 also covers the area. When coming to the site from Farnham via the Tilford Road, take the left turn into Sheephatch lane, proceed over the small river bridge and take the left turn immediately after the house adjacent to the bridge. Proceed along the single track to Garner‟s Field passing ‘Heron’s Wey’ Girl Guide site entrance to your right. The direction to the campsite is signposted. Please respect the 5mph vehicle speed limit when driving along the tarmac road. The campsite comprises a seven acre mainly level field adjacent to the river Wey with individual camping areas located around the periphery. 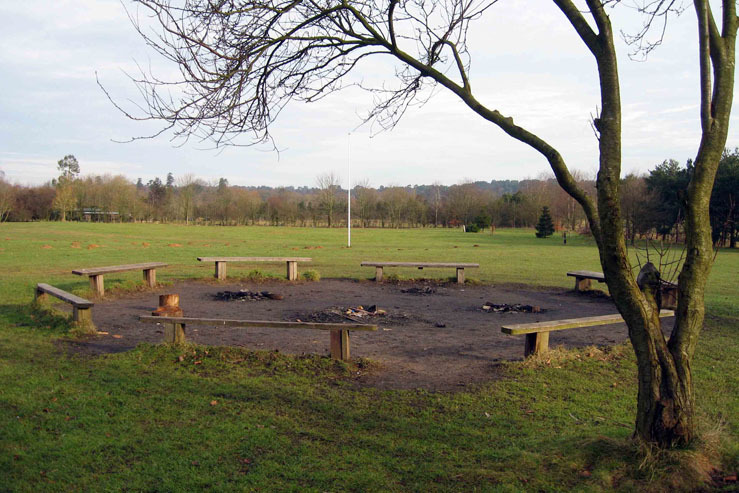 A large central open grassed area is provided for communal use. Two Weather Shelters are provided. A smaller one near the car park for the temporary stowage of camping equipment and refuge from the weather. A second larger shelter has been added (2016) next to the Activity Trail which in addition to the stowage of equipment may be used by small groups for outdoor activities under shelter. Please note that due the fire risk the use of gas equipment or open fires in or adjacent to either of the wooden shelters is not permitted. Fresh/drinking water pipe stands are provided around the main field and adjacent to the buildings. For freshness it is recommended that field taps are initially flushed for 10 seconds before using. Wood is delivered to the site for camp fires and cooking – only this wood or dead wood collected from the ground may be burned. Please return any unused wood to the wood pile. With the Warden’s prior permission open fires may be used at the individual camping areas located adjacent to the river. Fire pits are to be dug and filled in accordance with scouting guidelines. Altar fires may be used at the remaining camping areas (five altar fire/BBQ‟s are available for use on a first come basis). Please use axes and saws responsibly. Individual camping area waste/grey water drainage facilities should be built above ground near the field boundaries (for example using a perforated bucket or bin liner filled with filter material that can later be burned). Please do not dig wet pits, throw wet refuse into the hedgerows or pour anything into the river. 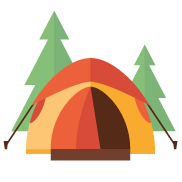 Subject to prior booking the site is open year round for camping and activities to all members of the Scouting Association plus young people taking part in established award schemes e.g. D of E.
To date our site has been used by Scouting Association Members of all ages from both near and far for such as: fun days, training days, weekend camps, family camps, D of E activities, campfire evenings, hike stopovers, summer camps, water activities, winter frost camps and many others. Our facilities are continually evolving and continue to grow as interest and opportunity permit. You can find out more about the campsite facilities by using the menu option above or by clicking HERE. 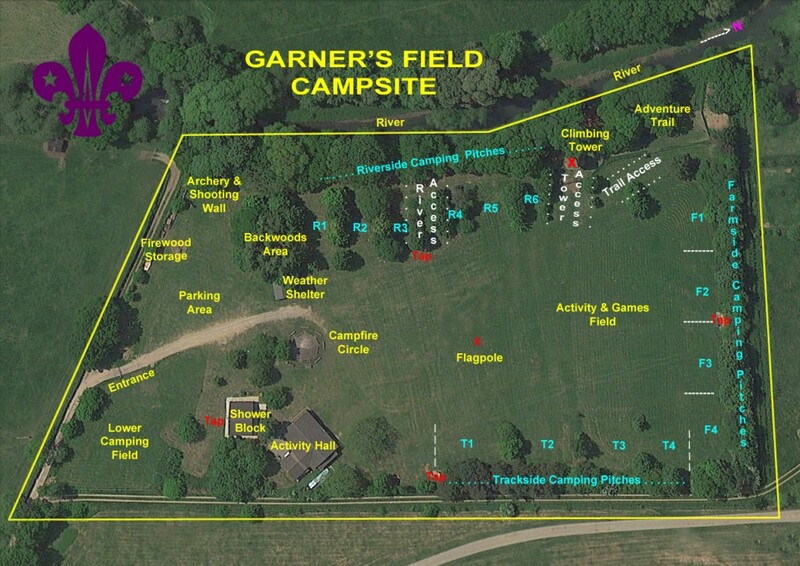 If you want to book Garner’s Field for your event or camp please use one of the booking forms on the bookings page by clicking on the link in the menu above or HERE. If you require further information about booking the campsite please contact the Campsite Bookings Secretary by email to: kenpowell.vh@btinternet.com or by telephone: 01252-797115.